This is Kay Yamagata. She is a retired pharmacist from California. For many years now, she is a faithful student of George Sakellariou. He is the one who introduced her to my guitars of which she has two now. 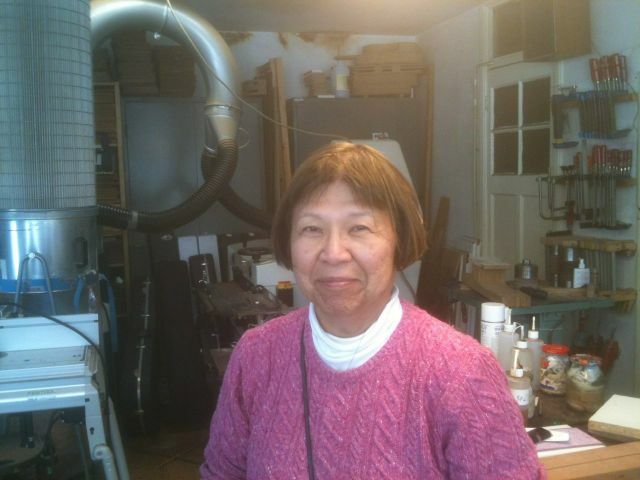 She is visiting Europe and came to my workshop to meet.